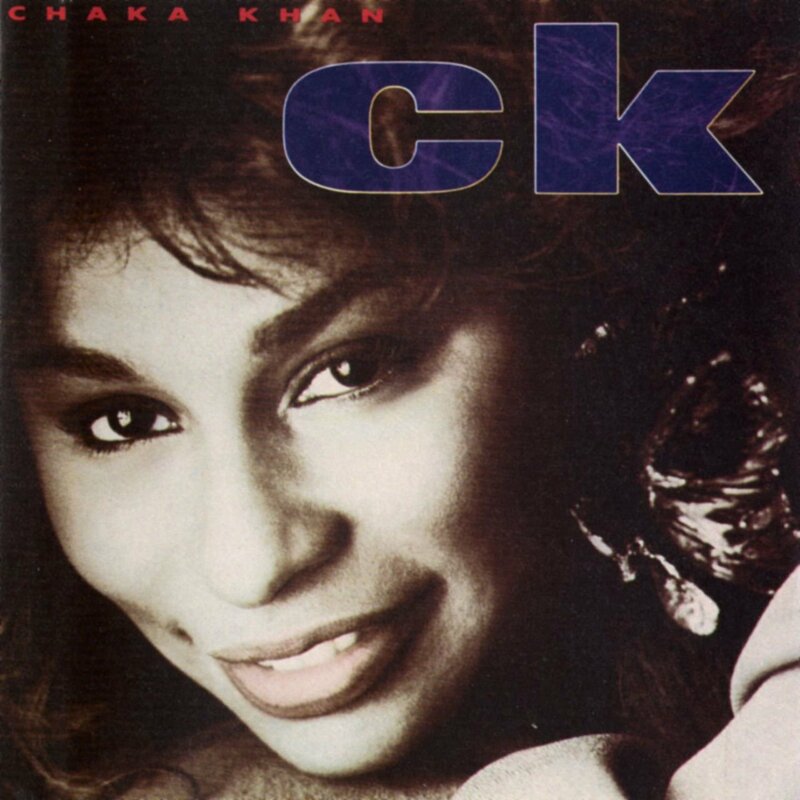 Chaka Khans "CK" album from 1988 is very underrated. Forums > Music: Non-Prince > Chaka Khans "CK" album from 1988 is very underrated. I slept on this album for many years, but dusting it off recently, I actually think it was severely underrated and actually one of her best and most diverse as a solo artist. I can't think of a lot of artists who were making music in 1988 whose albums have aged this well. Firstly, you have the two Prince collaborations, Eternity and Sticky Wicked. The latter sounds like pure Lovesexy-era Prince, her rapping and flow are taken straight from that album. It is also significant in being one of two tracks on this album to feature Miles Davis. Eternity is also a nice little ditty. Chaka really shines on the two jazz standards "I'll Be Around" and "The End of a Love Affair." You can tell she loves those songs and her vocals against such classy arrangements are just sublime. Then you have the irresistably hooky Baby Me and It's My Party - both chosen as single releases and for good reason. Another highlight of this underrated album is her improvisational scatting in the middle of Soul Talkin. Let's hear some love for this hidden gem of an album. That actually Bobby McFerrin scatting. I never knew that. Are you sure? Parts of it sound like Bobby and other parts really sound like Chaka. Chaka insists this is her favorite album. I think mostly because of Miles Davis. It was her least successful album of the 80's. She was pretty devastated when it didn't sell. Her voice was not in good shape on the album. That may have played a part. And Warner virtually did zero promo for it. There was only one video to promote the album, "It's My Party". Most people don't even know the video exists. After this album flopped, she moved to Europe to escape from the industry for a while. Me, too. It's the only song on the album I can't listen to. I think it would have been better suited on a Prince album. Interesting bit of trivia, Miles added his contribution to the song later after Chaka and Prince recorded the track. They had no idea Miles was going to appear on the song. Chaka said he just happen to have been in the studio when he heard the "finished" song and decided he wanted to add his two cents. Could never get into CK. Love Sticky Wicked, but the rest didn't appeal to me. Time has given me a bit more perspective on the album (i.e. it's grown on me). I was one of the minority that absolutely loved the previous album (Destiny). CK was a letdown for me. I hold The Woman I Am much higher in value than CK. The Woman I Am should've done much better than it did. WB kinda screwed her at that point. See, I have tried to keep listening to Destiny, but something feels off about it to me. But I love "Tight Fit" and "Earth to Micky." I loved the CK album from the first time I listened to it. and I love The Woman I Am album too. Her version of I'll Be Around is stunning. I didn't know either until a few years ago. Warner Bros, really hid this one. I'm trying to remember if I even remember seeing a glimpse of it on Video Soul back in the day. I only recall seeing the video a handful of times on The Soul Beat Network. Never anywhere else. At the time the single was released, I had never heard it on the radio. "C.K." was the very first Chaka album that was released without my knowledge. I remember going into the record store and there it was with some other new releases at that time. I was shocked! I asked the woman who worked at the record store when was it released? She said it had already been out for a couple of weeks. I asked her about a single? She said "It's My Party" was the single but only getting radio play on one station in Michigan (WGPR). So, yeah, WB totally gave her the finger with this album. That's a damn shame Warner Bros! and I'm stil mad at them for the Dare You To Love Me album. It really makes no sense, since they basically cut that album up and put songs on soundtracks and compilations etc. -A Song A Day compilation.